It’s always a good idea to do a “Paycheck Check-up” at the start of the new tax year or when you experience any change in your income, to make any necessary adjustments to your Form W-4 (Employee’s Withholding Allowance Certificate). Doing so helps to avoid withholding too little Federal tax from each paycheck, which could lead to an unwelcome tax bill or penalties. All that requires is updating the Form W-4 on file with your employer. These are straightforward, requesting your name, Social Security number, address, marital/filing status, and whether or not your name matches your Social Security Card. This is where it can become confusing. 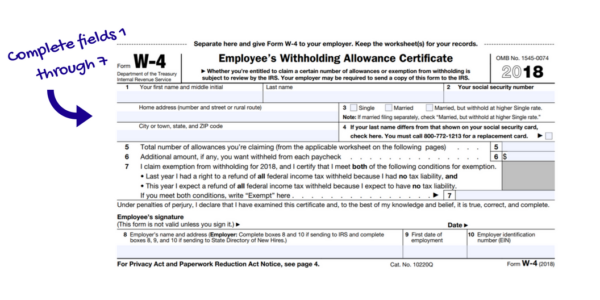 Field 5 requests the “total number of allowances you’re claiming.” Calculate the number of allowances using the worksheets provided on the Form W-4. Field 6 asks how much, if any, additional funds you would like withheld from each paycheck. This is where the online Withholding Calculator is helpful. In the event you meet both of the outlined conditions for exemption, indicate “Exempt” in this field. These fields are to be completed by your employer. If you have any questions, we’re here to help. Contact us online or call 215-723-4881. 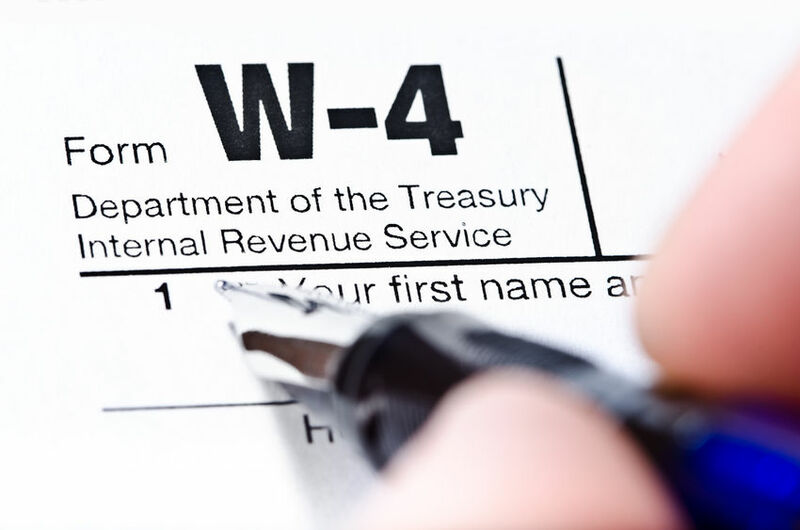 Download our FREE Sample Form W-4, where we take you through each question using a sample scenario.